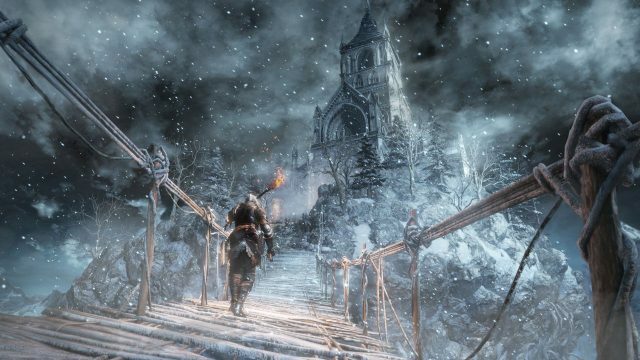 As announced by publisher Bandai Namco last week, Dark Souls III will receive a new patch this week on all platforms that introduces two new PvP maps as well as a matchmaking feature to the Undead Arena mode included with the RPG’s Ashes of Ariandel DLC, but there’s a whole lot more than that coming with the update. The entire batch of adjustments for patch 1.1 have been released, and besides featuring an arm’s-length list of balance changes to various weapon and armor types, it’ll also bring with it PS4 Pro support. How extensive the improvements will be isn’t entirely clear, but the notes themselves state that post-patch, players on the upgraded PlayStation 4 will enjoy “increased frame rate for gameplay,” so make of that what you will. Either way, a potentially smoother performance for From Software’s trilogy-maker can only be a good thing, whichever way you look at it, and I can only hope this means the developer isn’t averse to making similar improvements to its other titles, i.e. Bloodborne. It’s no secret that the PlayStation 4 exclusive experiences a rather choppy frame rate at particular points; its absence from the initial list of PS4 Pro supported titles coming as a disappointment for me and likely many others. If those made to Dark Souls III are received well, then hopefully From will consider giving Bloodborne the same treatment. Patch 1.1. is scheduled to go live on March 24 for all platforms. You can find the roll out schedule for each platform and the full patch notes over here. In related news, Dark Souls III‘s second and final slice of DLC, The Ringed City, is out next week, March 28, for Xbox One, PlayStation 4 and PC. Check out the tantalizing trailer below.